I’ve experienced the value of having a mom tribe and I’m eternally grateful for the women in my life who have been there for me no matter what. But what exactly is a mom tribe and how to you know when you have one? Good questions, let’s dive in. What’s a mom tribe anyway? Tribe is a somewhat new pop culture term that you’ve probably heard in reference to social media. It typically refers to people with the same interests and values, who often times have shared experiences. They’re the best source for insight and feedback. Mom tribe is an even newer term but isn’t that much different. When I use it here, it’s in reference to women with shared experiences who act as a moral and emotional support system. Chances are you already have women in your life who fit the mom tribe criteria. Think about it. Do you have certain friends on speed dial (am I dating myself or is that still a thing?) or friends who’re more than willing to chat on the phone for hours to help you through a situation? These women are your tribe. These are women you trust enough to cry your eyes out in front of and share your inner most thoughts without feeling judged. These are women who will jump in their car — and pack their kids in if they have any — and drive over to make you a cup of tea (or something stronger) just to listen to you vent. These are women who always seem to call or text at just the right moment. These are the women who understand you the best and just get it. Personally, I’ve formed some of the deepest and strongest relationships with women who’ve been there with me through my triumphs and through my difficulties. Being a mama is one of the most amazing jobs out there. 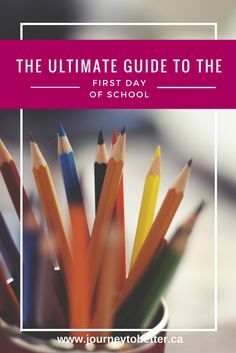 Whether it’s your kids spontaneously saying I love you and giving you a hug or you curling up with your kids to watch a movie, there are so many special mommy moments to enjoy. But lets face it, being a single mom comes with its own set of challenges. You’ve heard the saying, “It takes a village to raise a child?” Well the same goes for moms. Building a mom tribe that rallies around you is exactly what you need to celebrate the successes in your life and to give encouragement. Your tribe can be as big or as small as you want it to be. They don’t have to be moms, just women you can trust. What’s important is that you’re there for each other. These women build you up and offer encouragement. It doesn’t matter what kind of day you’re having, a 10 minute conversation with them puts things in perspective. Drama at work? They’ll listen and give you ideas to push through. Your kids having a hard time listening? 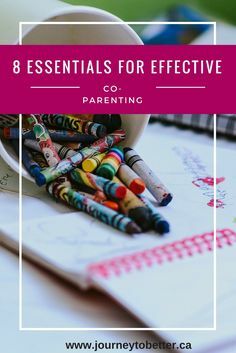 Your tribe gets it and will offer up a few tips and tricks to deal. Whether it’s giving you advice or supporting your dreams and goals, your mom tribe supports you. They’ll hold you accountable and check in with you regularly. One thing I respect about my tribe is that they keep it 100. Why’s this important, you ask? It’s important because you don’t need “Yes” women in your life. You need women who’ll be there as you make decisions BUT, these women will tell you when you’re wrong. Trust me, it’s not easy to hear but your tribe wants you to thrive and do better. They’re not helping you by always going along with what you say. Don’t you want real feedback and real advice? When they push back just know that it’s coming from a place of love and respect. Back in the day, I had a friend that I could just look at and I knew that she knew exactly what I was saying with my eyes. Do you have people like that in your corner? These are tribe worthy women because they get it. It’s comforting to be able to speak your mind and know that your tribe gets it. You don’t have to go into details and feel like you have to justify something. They just get it and know what to say or do. We’re women so obviously we like to talk. Whether we’re talking about kids or the latest sale, we can speak to each other at length. Am I right or am I right? Your tribe is here for that. But solid tribe members draw the line at negative thought patterns or negative self talk. Remember they’re your advocates, they not here to let you wallow in a negative head space. Everyone’s situation is different but there may come a time when your ex does or says something that makes your heart beat a little faster or your blood boil. Of course it’s tempting to want to trash talk him with your tribe but don’t. I repeat, don’t get caught in the negative cycle of trash talking. There’s no doubt that it feels good to get things off your chest so recognize your feelings and move on. It’s great to talk but it’s even better to pray. Heading to court to see your ex? Ask your tribe for prayer. Feeling a little depressed about the current situation? Ask your tribe of prayer warriors. Whether it’s through text or a five minute conversation, your tribe is ready to send up prayers for you. I can’t stress enough how powerful it is to be covered by their prayers, especially when you’re stressed or your patience is being tested. Just knowing that there are women who care about you is enough to help you walk tall and prepare for what’s coming next. So there you have it. 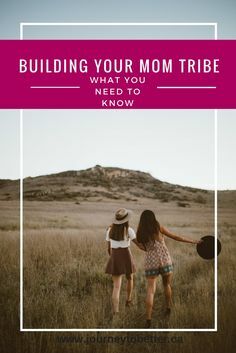 Now you have what you need to build your mom tribe. Remember that as you build your tribe, you also become a part of someone elses tribe. Be there to listen and to help when your friends need it. As you go through things, good and bad, use them as learning opportunities to pass on to the women coming up behind you. We all started this journey somewhere so knowing that there’s someone who’s been through it and thriving acts as encouragement for other single moms. You be that women who not only asks for support but also gives it.